TRAVERSE CITY, Mich. -- When temperatures down south climb into triple digits travelers from coast to coast find summer refuge on northern Michigan's golf courses. The Rick Smith Signature is one of three upscale golf courses at Treetops Resort. Golf here offers more than just pristine beauty and cool summer breezes. The best of the best in Michigan have something for everyone -- at least, everyone with the dough for it. Luckily, when it comes to cost up-north upscale isn't the same thing as Las Vegas or Scottsdale upscale. Far from it. The golf, however, is second to none. Here are some prime places to spend your summer-golf-trip stash. Arcadia Bluffs: In its short time on the golfing map, Arcadia Bluffs has won national acclaim. There's no better public course in the state than this Rick Smith design perched on the northern edge of Lake Michigan. The rugged coastal landscape offers a perfect setting for Smith's greatest achievement. The par-5 11th is one of prettiest holes in Michigan, playing 600-plus yards down a bottleneck that eventually opens out onto lakefront. After your round, dine on the clubhouse patio and watch the sun set over Lake Michigan. Grand Traverse Resort: Half the fun of playing The Bear at Grand Traverse is taking on one of Michigan's most difficult courses, Jack Nicklaus' only public offering in the state. The other half is gazing out the window of your suite in the Grand Traverse Resort Tower, 14 stories up, looking down on the course and environs. It will likely be the only time you rise above The Bear all day. Everything at the Grand Traverse is world-class, from course design and conditions to the recently renovated (to the tune of $18 million) resort facilities. Make reservations for a sunset dinner at Trillium on the 17th floor of the tower and drink in the best view in northern Michigan along with a selection from the award-winning wine list. Forest Dunes Golf Club: Officials at this gem in Roscommon put their course in elite company. "It's been written about us that we're a mix of Augusta National and Pine Valley," says General Manager Chris Bronson. "We've got a great contrast of dunes and wooded holes." While Augusta and Pine Valley would likely scoff at the comparison, this Tom Weiskopf design is one of northern Michigan's most unique courses, with outstanding hole variety. Conditions, from tee to green to driving range are flawless. Opened only eight years ago, Forest Dunes has already gone through an ownership change and even a short closure, but now it's ready to shine. The upscale ambitions are manifest in the formal dinners the soon-to-go-private club every Friday and Saturday. Greens fees: $120. 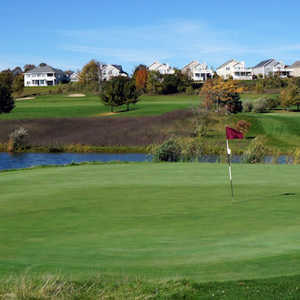 Bay Harbor Golf Club: Located near the posh resort town of Petoskey, Bay Harbor opened to high anticipation in 1999. With the club announcing plans to go private shortly, golfers hastened to get their shot, at nearly $300 a round. The club offers three Arthur Hills nines, the Links, Quarry and Preserve. Each has its own character, but the Links is the most stunning, playing out to a 150-foot bluff over Little Traverse Bay. 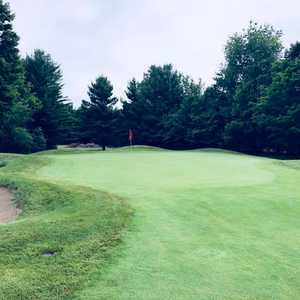 Treetops Resort: Perennially ranked as one of the Midwest's finest golf destinations, Treetops in Gaylord offers 81 holes spread among contrasting layouts from Robert Trent Jones Sr., Tom Fazio and resort co-owner Rick Smith. The diversity is sure to satisfy any golf appetite. Each course plays over dramatic landscape and features many elevated tee shots. The par-3 6th on Jones' Masterpiece Course is one of the north's most photographed holes and spawned a generation of courses with steeply downhill par 3s. Smith's par-3 course, Threetops, hosts the annual Par-3 Shootout, usually attended by his student and Treetops partner Phil Mickelson. There's also an on-site Rick Smith Golf Academy.